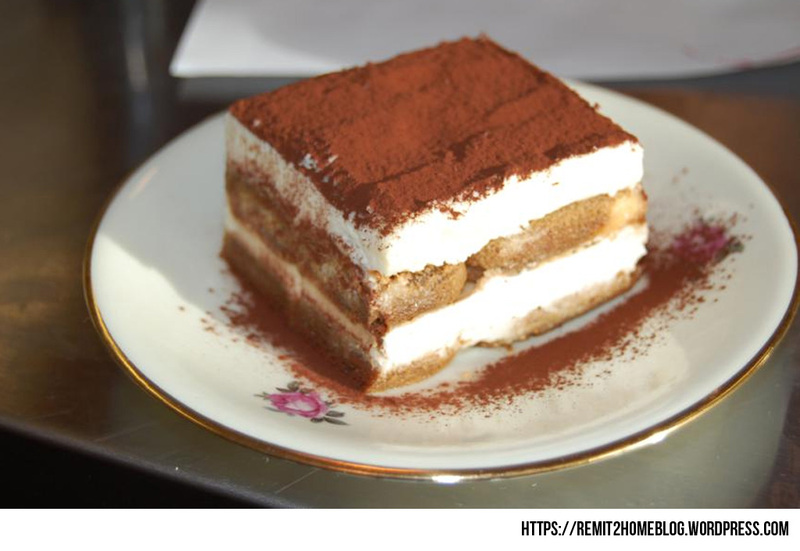 Here comes the New Year 2016, just a few days from now and we're pretty sure that nobody want to miss it. 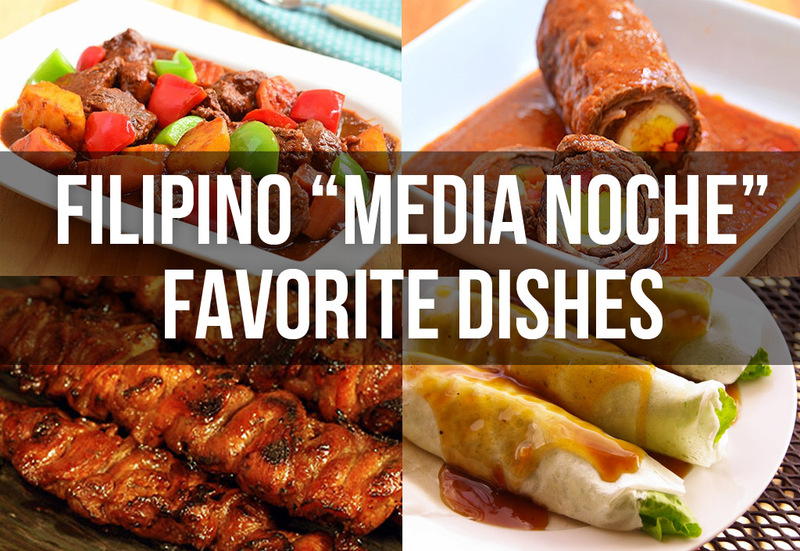 Media Noche means "midnight (12AM)" which is a lavish midnight feast that supposedly symbolises hopes for prosperity in the coming year, and lasts until the following morning. 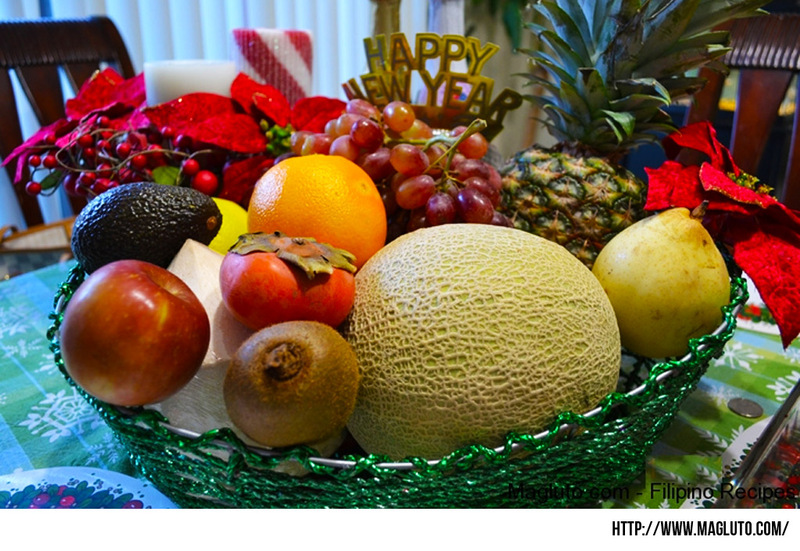 It is the time of the year where families and all people in the world celebrate the new year ahead. 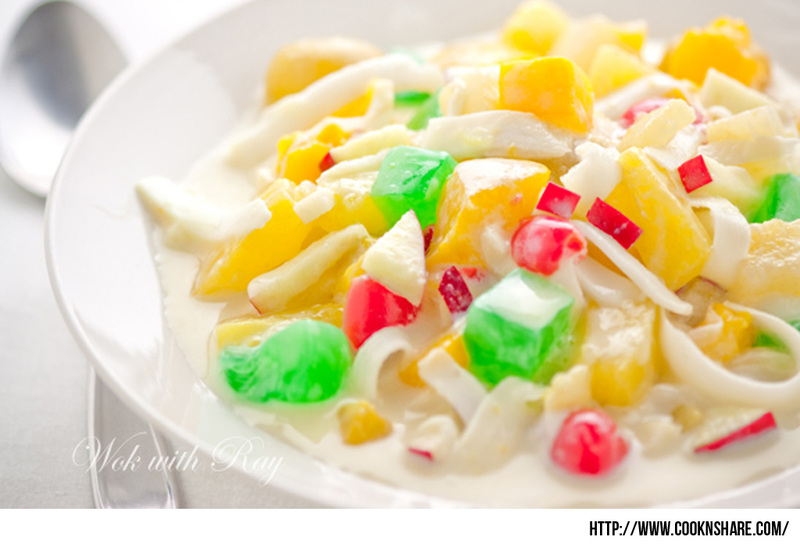 There are loud sounds, fireworks, and specially the Pinoy food! 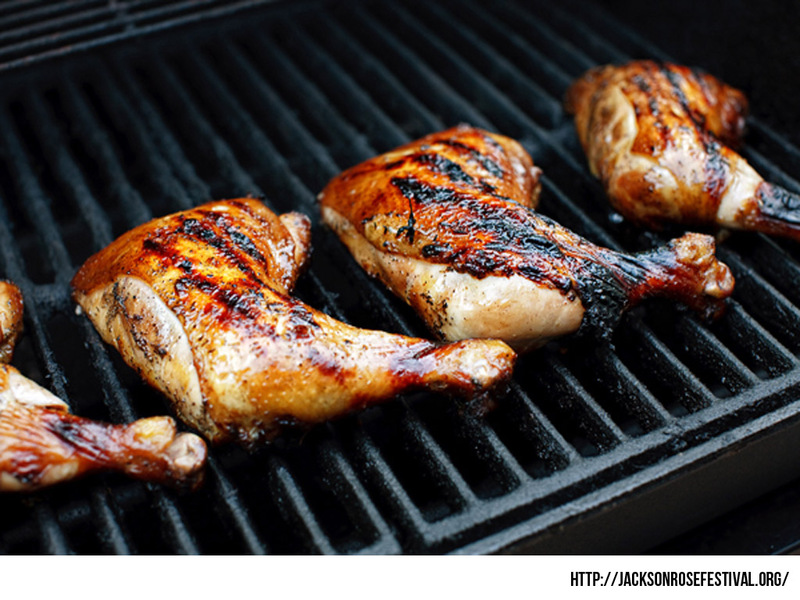 Who doesn't love Barbeques? The savory grilled chunk of meat on a stick, definitely will be served on any occasion. 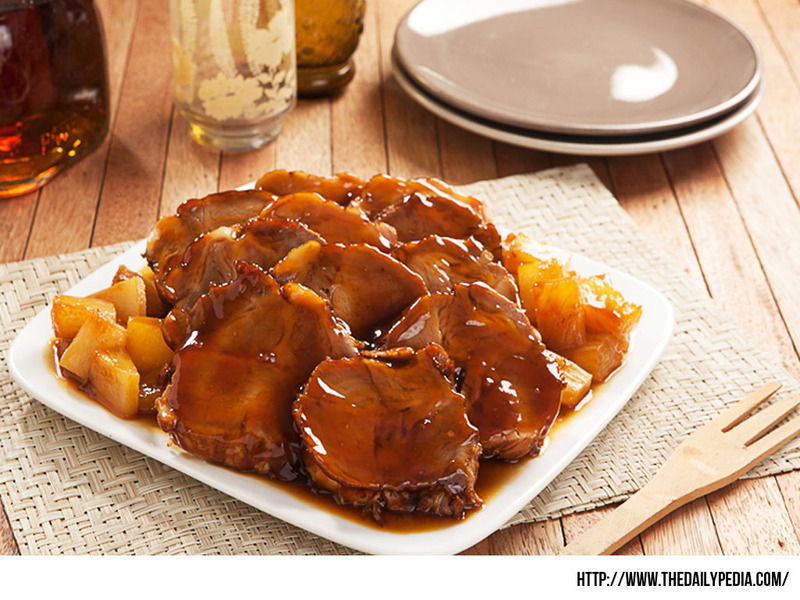 The term "pata" is a Spanish word for "leg" and the "Tim" is a Chinese word that refers in a cooking style or how a dish is cooked. 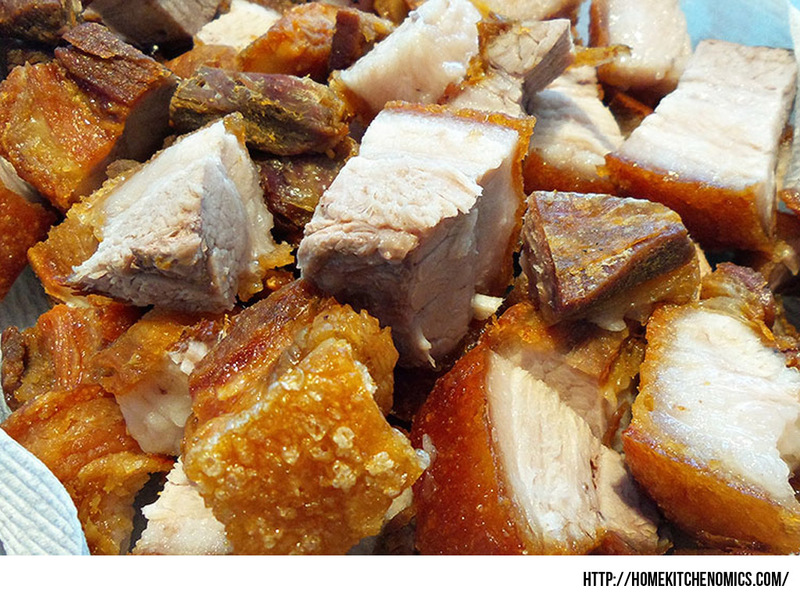 Usually one of the pork favorites especially on "pulutans". 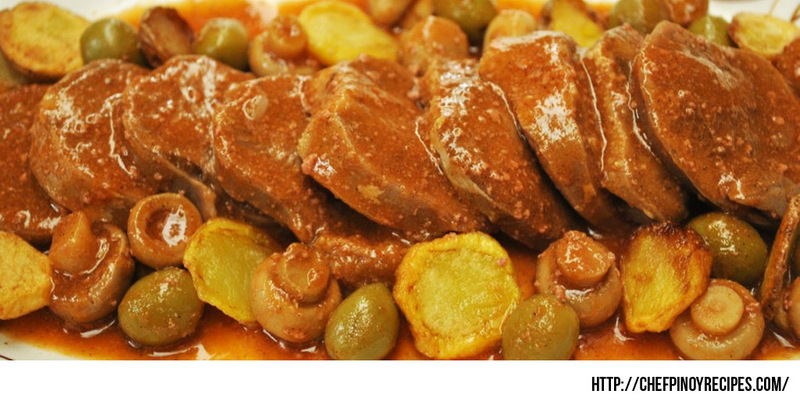 Beef Caldereta Filipino beef dish that stew with flavors that is heavily influenced during the Spanish colonization. 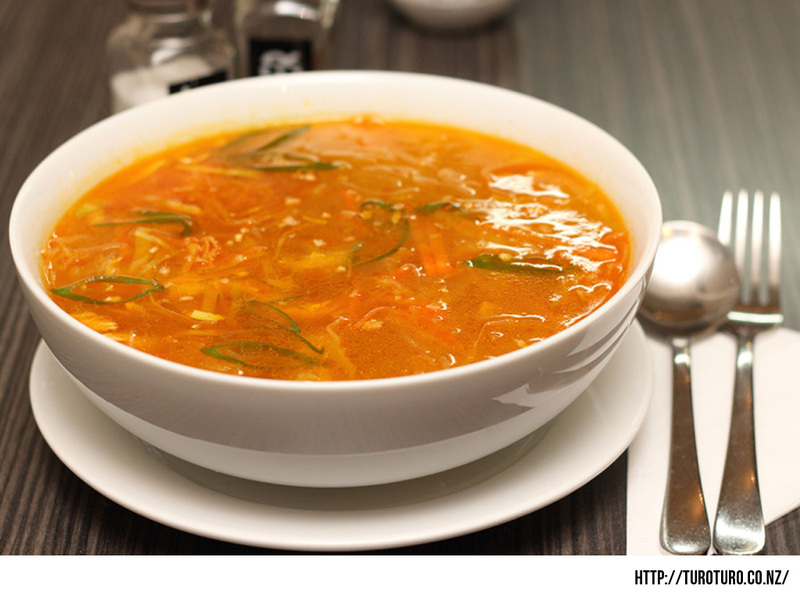 It is a mix of beef, tomato sauce, vegetables and a semi-spicy taste that makes us wanna eat more rice. 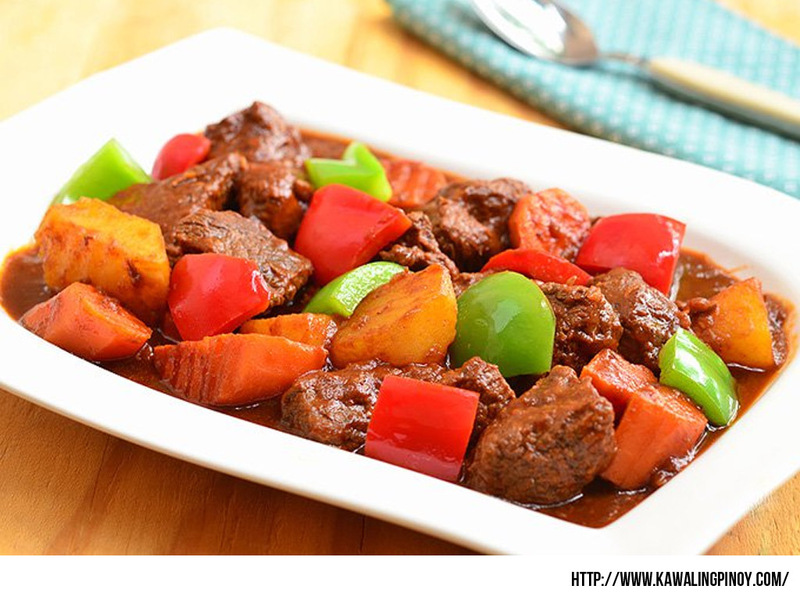 Beef Mechado is a Filipino dish where the beef is stewed with tomato sauce. 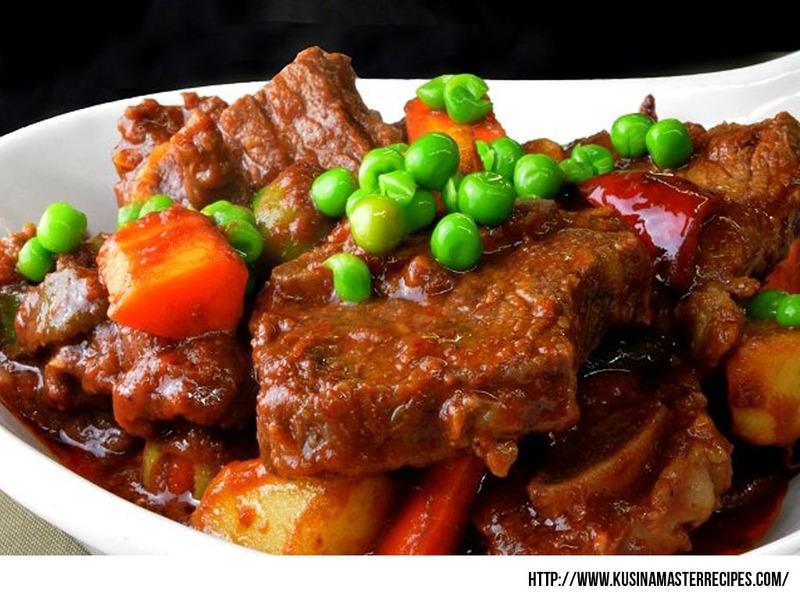 It is a beef dish mixed with vegetables, tomato sauce and some spices that makes it different from beef caldereta. 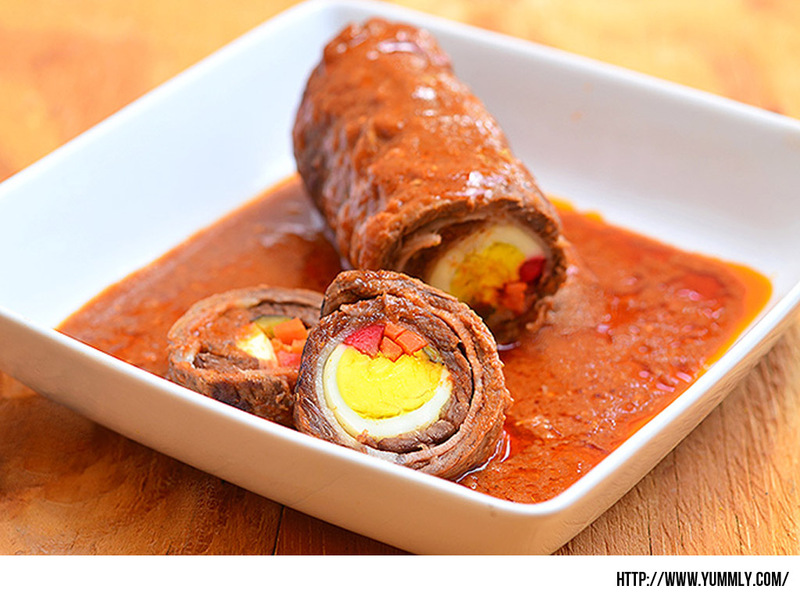 Morcon is a rolled beef meat with vegetables and other ingredients on the inside, often mistaken as an embutido. 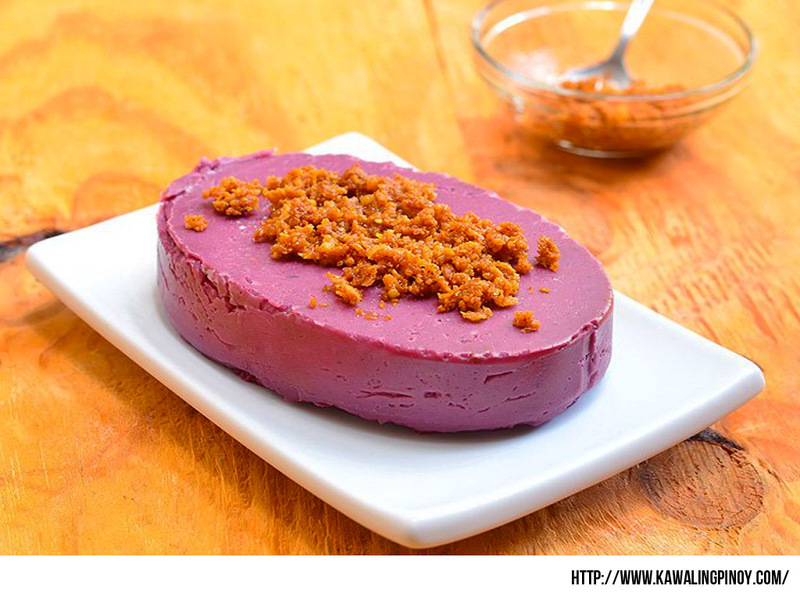 Lengua Estofado is a Filipino dish made with tongue (usually a cow's tongue) braised in tomato sauce. 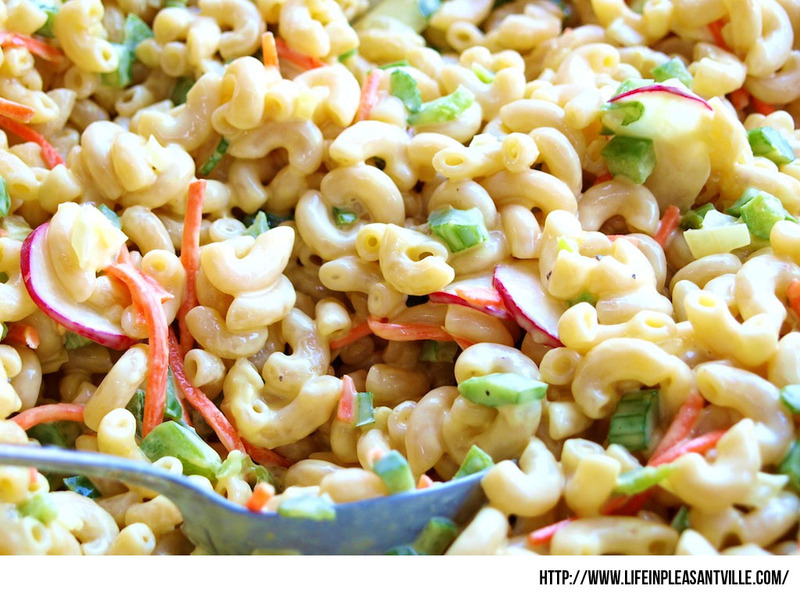 It's a bit of an exotic dish that is served during special occasions. 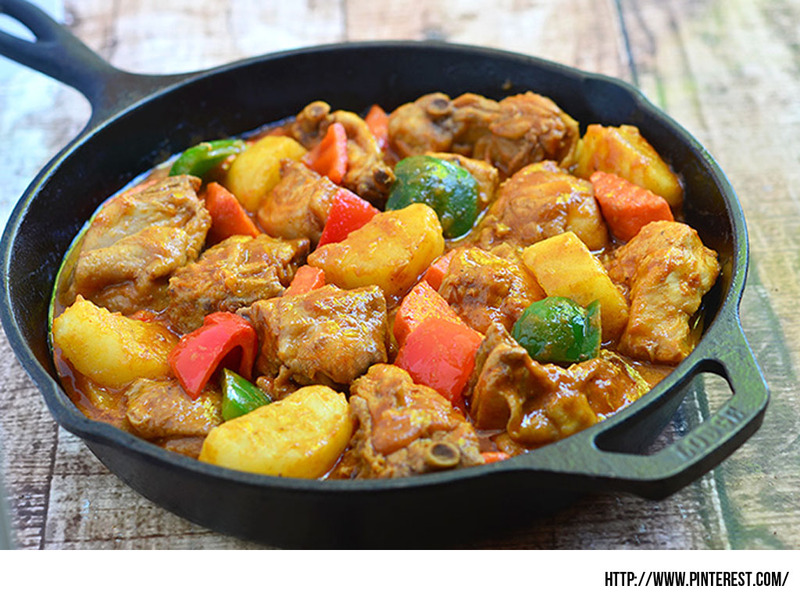 Pininyahang manok sa gata is a chicken that is marinated in pineapple juice then cooked together with pineapple and other vegetables. 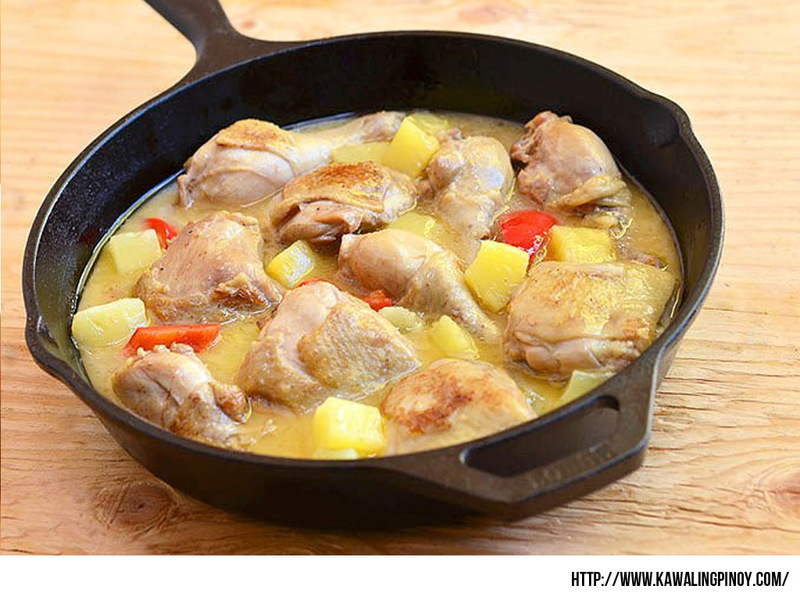 It is like a chicken curry but instead using a curry powder, we use coconut milk and add a sour-sweet taste with a pineapple. 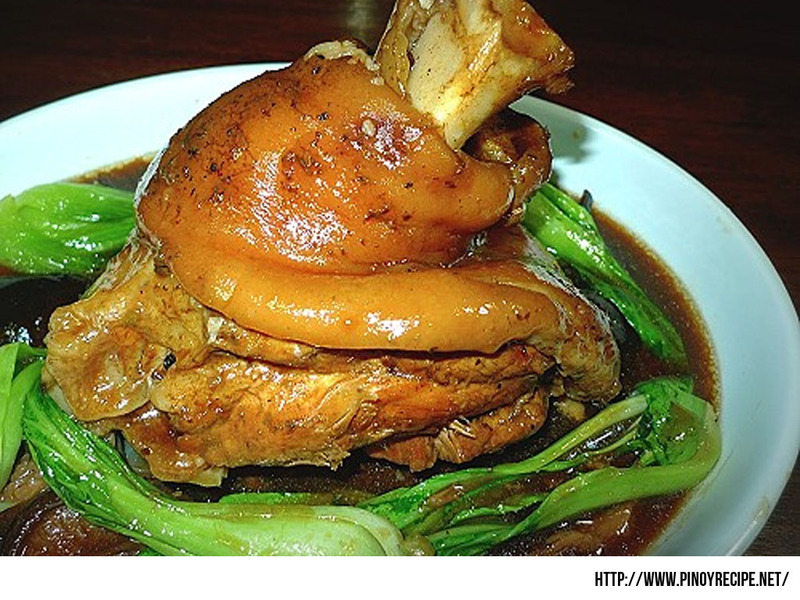 Anyone loves inihaw na manok, specially the deep marinated ones, they're very tasty! Smoked chicken baby! 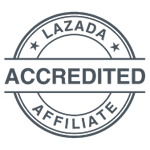 Same as the beef caldereta, it is a Filipino dish stew with flavors that is influenced during the Spanish Colonization. 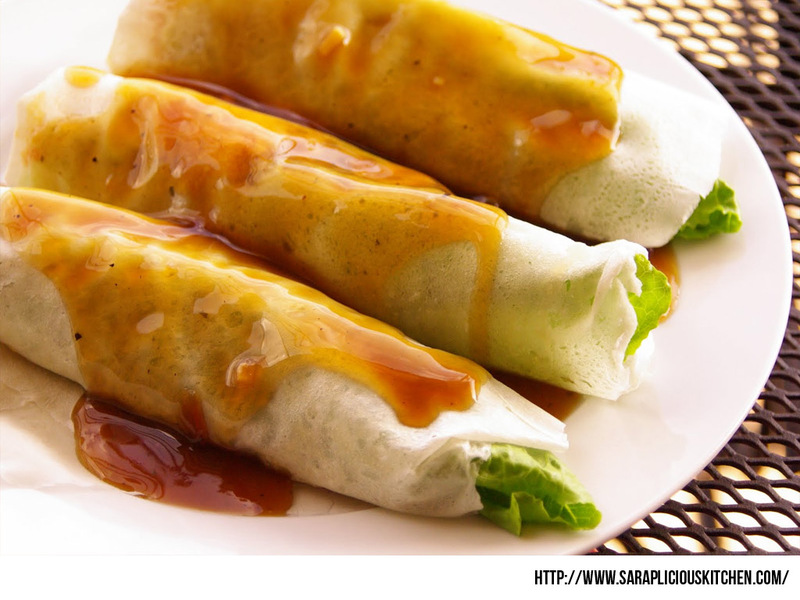 How we love the mix of chicken, tomato sauce, vegetables and the semi-spicy and distinct taste of this dish. 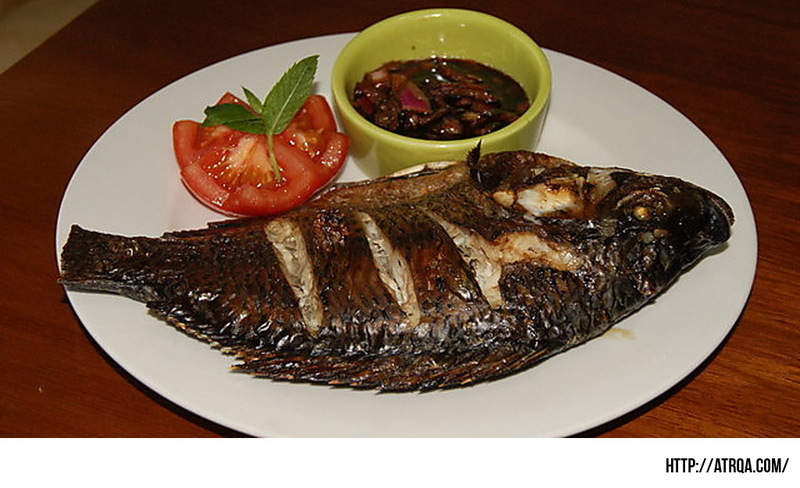 Relyenong bangus is a stuffed milk fish with a mix of fish, pork and some vegetables that's already pre-cooked, usually the fish's bones were taken off, so hooray! 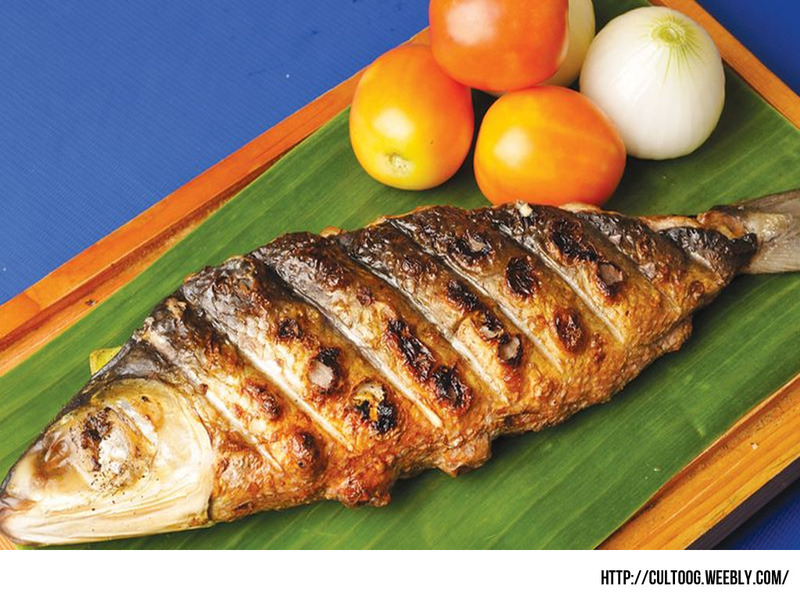 If you don't want bangus (milk fish), this one is a good alternative. 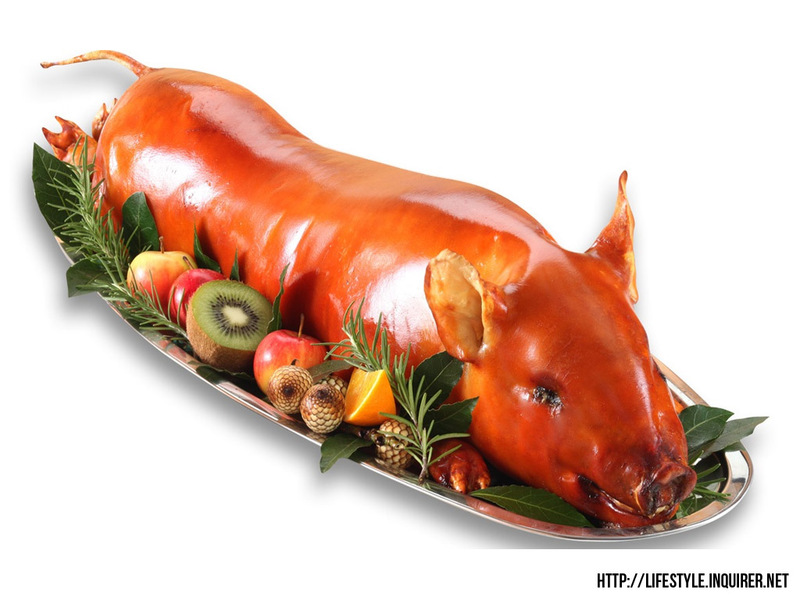 It has less bones and has a pure white meat and best served with soy sauce with calamansi or a tomato. 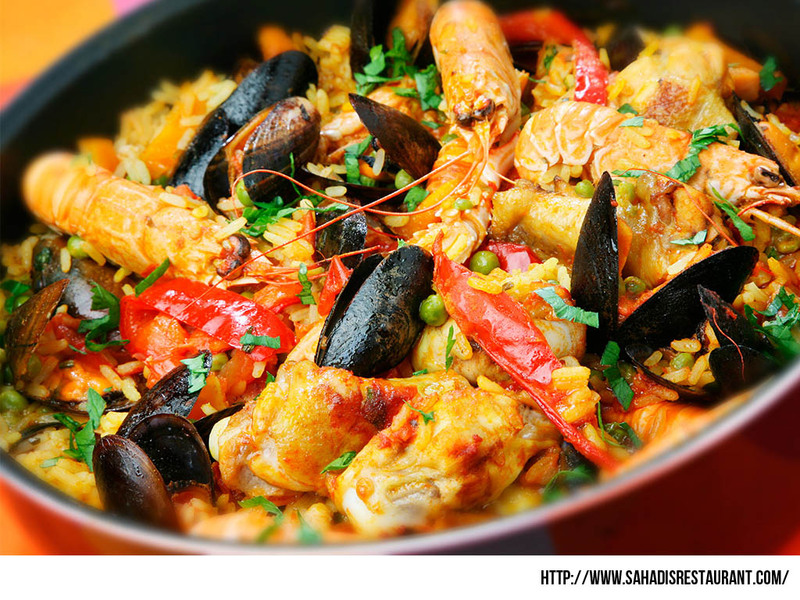 Paella is a very popular dish that originated in Valencia region of Spain. 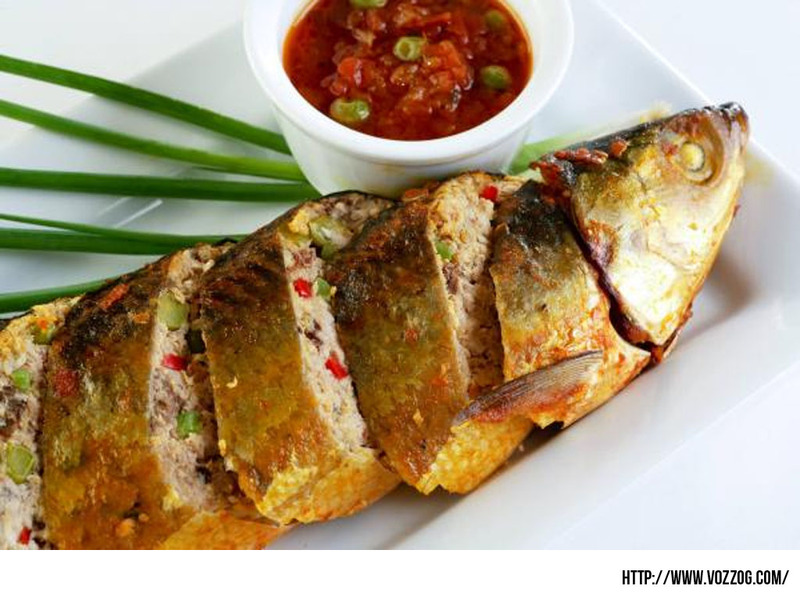 The dish is served with a mix rice, tomato sauce, various seafoods, eggs and vegetable/s and of course we love it too. 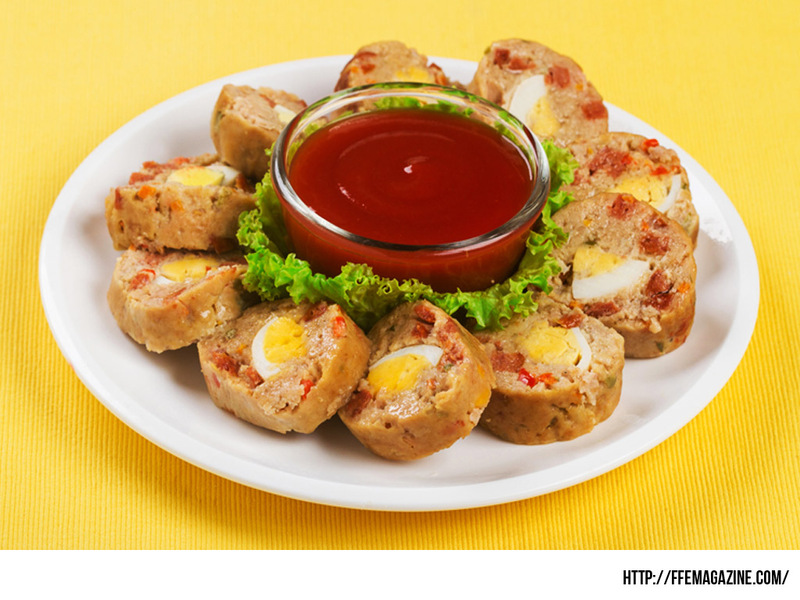 Embutido is a type of meatloaf in Filipino style that is stuffed with eggs, vegetables or other meat inside. 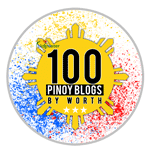 Oh siomai! 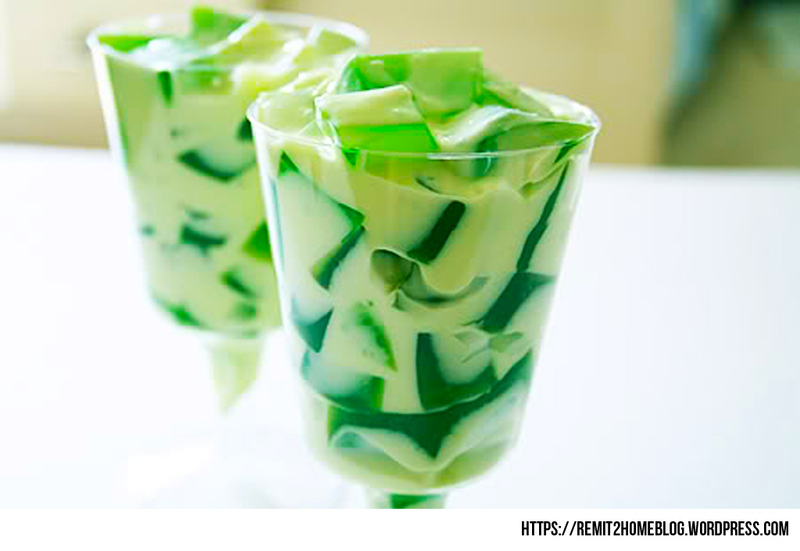 You have have this as a side dish or sometimes can be a main dish to be served during the occasion. 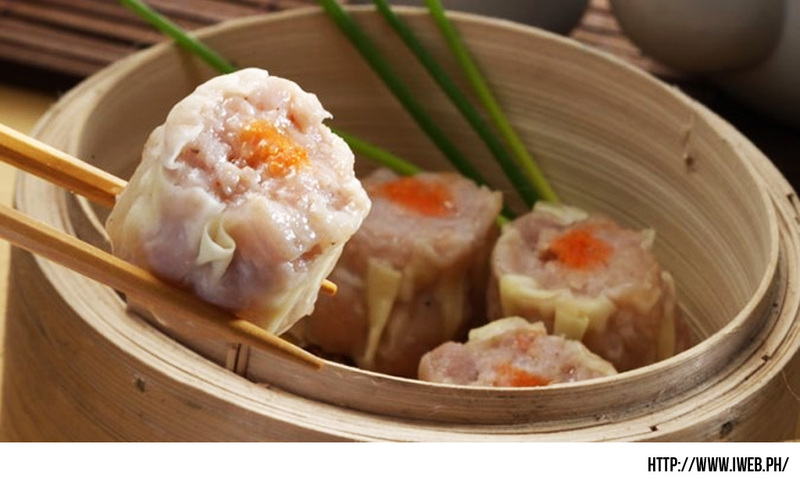 They are like a meatball but taste quite different, it's more of a shrimpy taste. 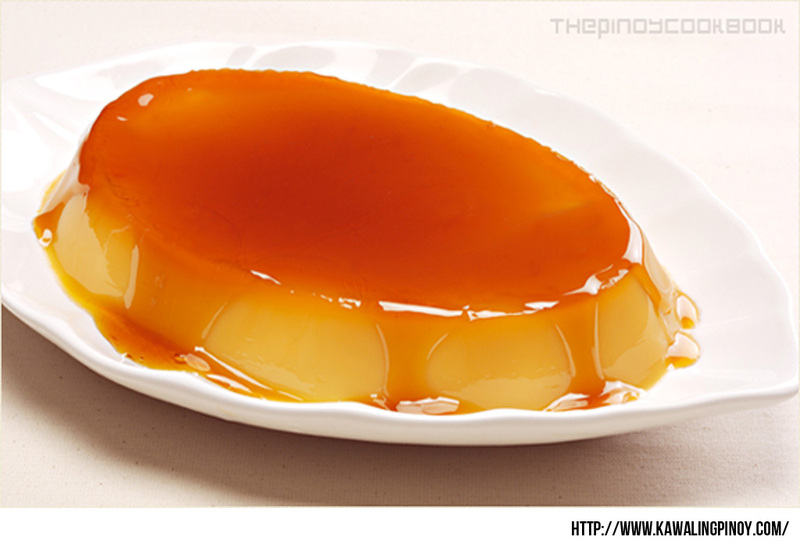 Best served with a soy sauce with calamansi plus a chili paste. 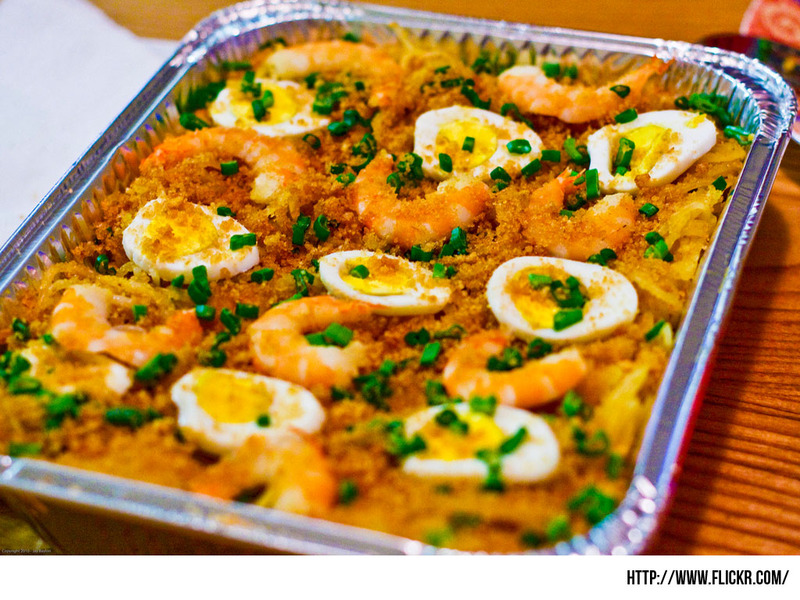 Of course, any occasion wouldn't be complete without the Filipino style spaghetti. 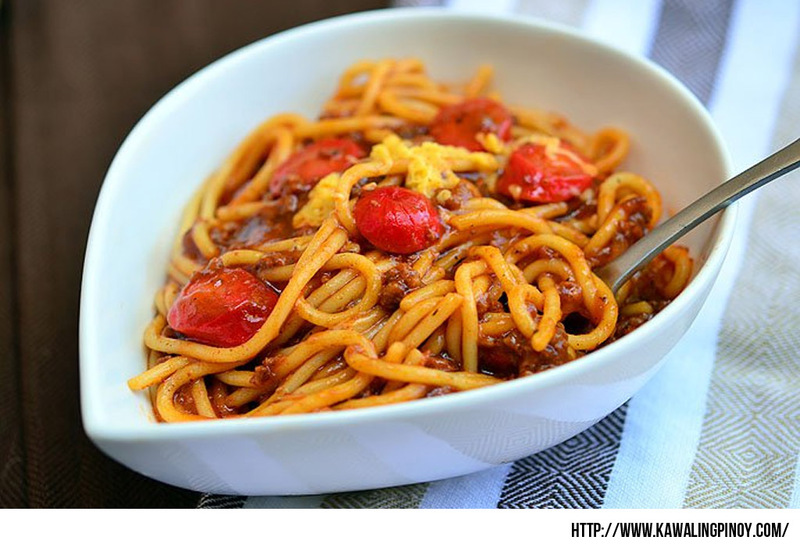 With the mixed tomato sauce, hotdogs, beef grounds, noodles and the very distinct sweet taste of our spaghetti, we loved it. 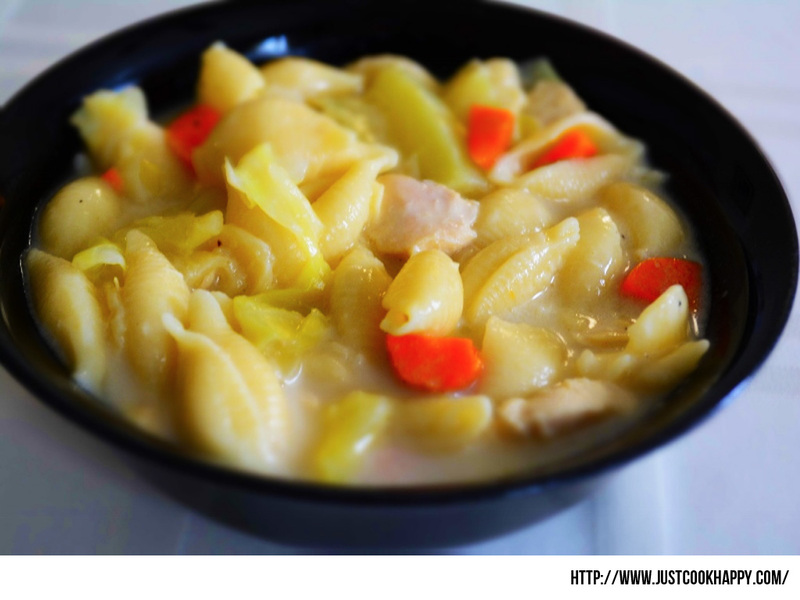 Another alternative to chicken sopas, this one is pretty traditional too. Best served when hot. As old superstition says, preparing 12 round fruits (or 8 as per Chinese for Infinity), which will serve as one piece per month in the year, will bring good luck in the rest of the year. 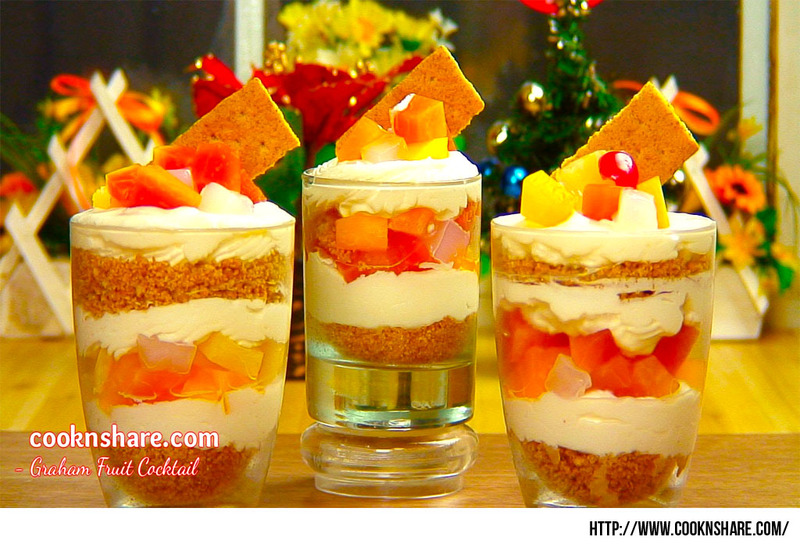 Sample fruits are oranges, kiwis, apples, melon, watermelon, grapes, lemon, etc. 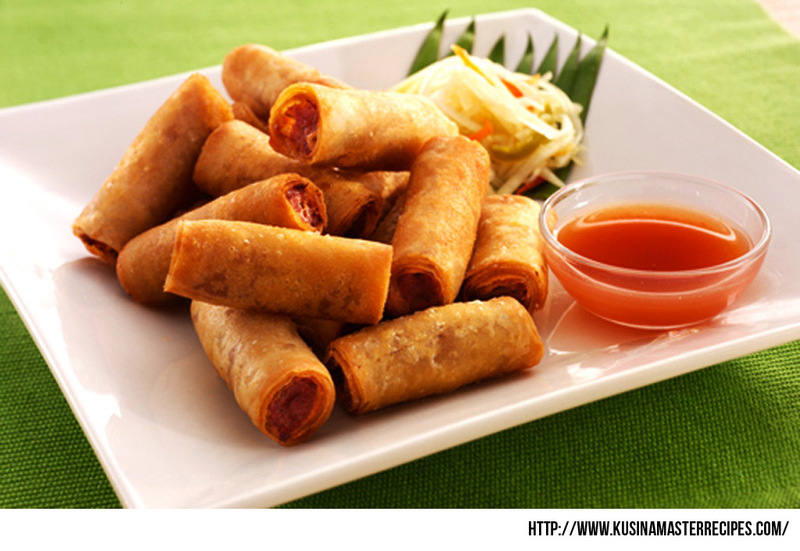 As per superstition says, this food symbolize unity, cooperation and understanding in the family all-year round. 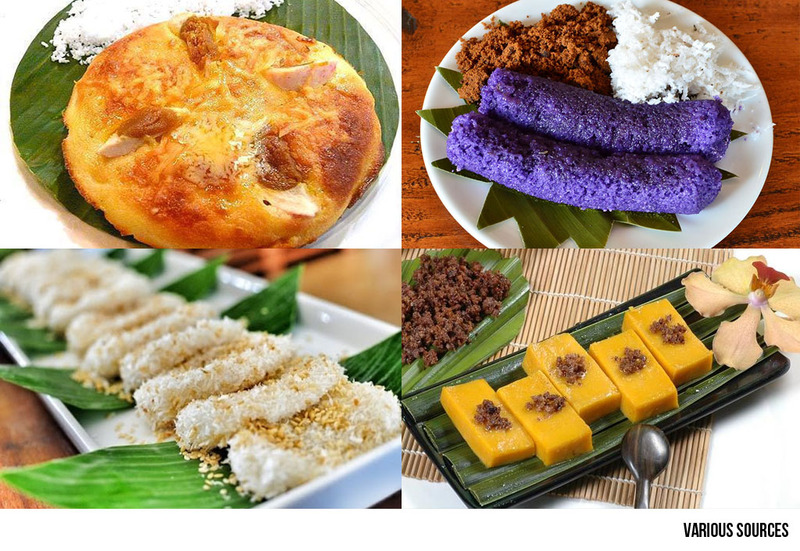 Rice cakes such as Palitaw, Puto, Biko, Puto Bumbong, Bibingka, Maja Blanca. As old superstition says eating a native delicacy that's made from a sticky rice will make a good fortune stick with the new year. Well folks, that is all the list of the dishes we have compiled so far. If your favorites is not on the list, kindly comment it out below :) Happy New Year Geeks!